Chinese manufacturing giant, Xiaomi, is getting ready to launch its new flagship – Xiaomi Mi MIX 2s on March 27. 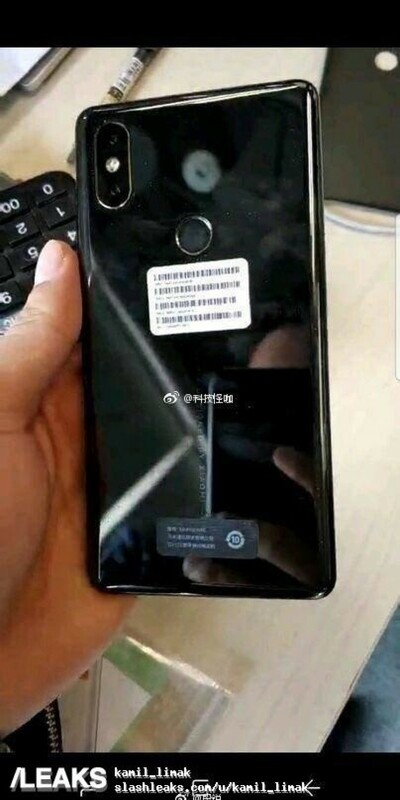 This smartphone, as well as the upcoming Xiaomi Mi 7, were initially expected to debut at MWC 2018 in Barcelona, Spain but that didn’t happen. While things have gone cold for the Mi 7, rumors on the Mi MIX 2S keeps bubbling. As of now, there are numerous leaks and speculations regarding the Mi MIX 2S and most of these reports conflicts each other. Now, we have two new images which revealed the front and rear design of this smartphone. 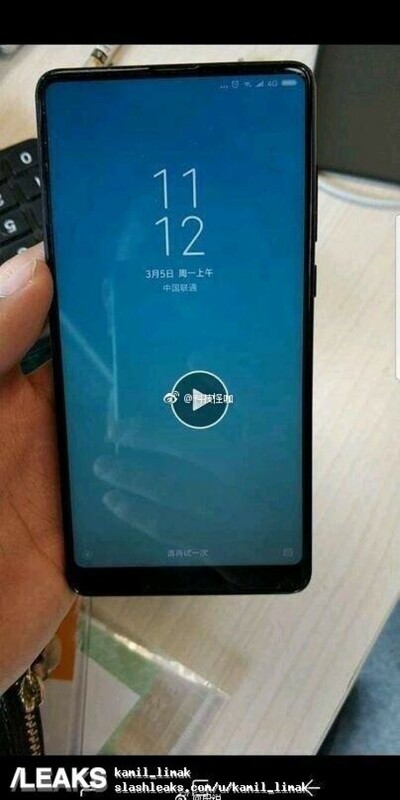 The leak shows that the top and sides of this smartphone will have very thin bezel while the bottom will sport a thicker bezel. This collaborates with the idea that the selfie camera will be lodged on the bottom bezel just like the Xiaomi Mi MIX. On the rear, we have a highly reflective panel which suggests that it is probably glass thereby harmonizing with earlier information that this smartphone will support wireless charging. Looking at the rear camera setup, the LED flash is placed in-between the dual rear cameras all of which are arranged on the top-left corner of the smartphone.